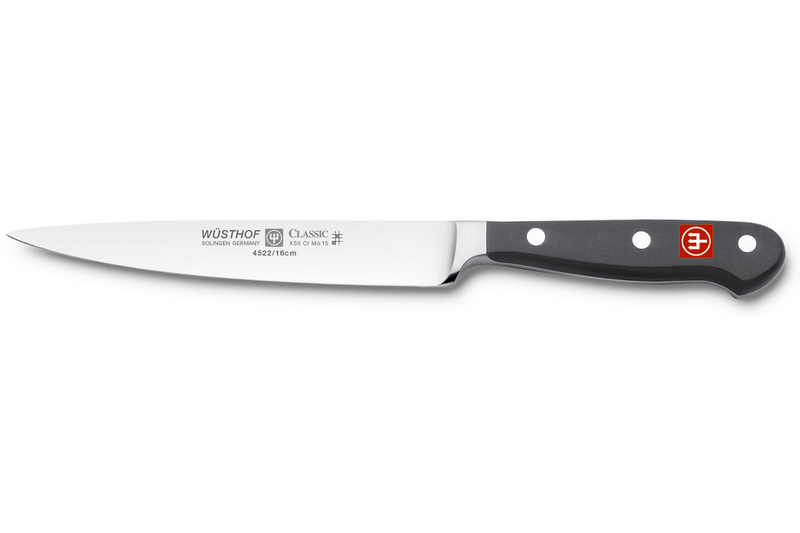 This medium-size Wusthof Classic 6 inch sandwich knife is a bit smaller than the average slicers or slicing knife but strong enough to cut through meats for sandwiches. A narrow blade helps you to easily slice through chicken or turkey. As with all Wusthof cutlery, this German-made knife is backed by a lifetime warranty. Professional chefs depend on Wusthof Classic cutlery. They need a long lasting, sharp knife that's comfortable to use. Don't you?